"I LOVE EVERYTHING ABOUT THIS and I just melted back into being a happy kid. If you need me I'll be spending the rest of the day smiling dreamily." J.J. Abrams enjoyed following up The Last Jedi and he has massive respect for what Rian Johnson pulled off. Directing a Star Wars movie is not an easy task and it isn't for everybody. With that being said, Johnson is preparing to start work on his own trilogy, which will take place outside of the Skywalker saga. It is believed the director will start work on the massive project at the end of this year or the beginning of next. Lucasfilm definitely has faith in Johnson and his storytelling abilities. 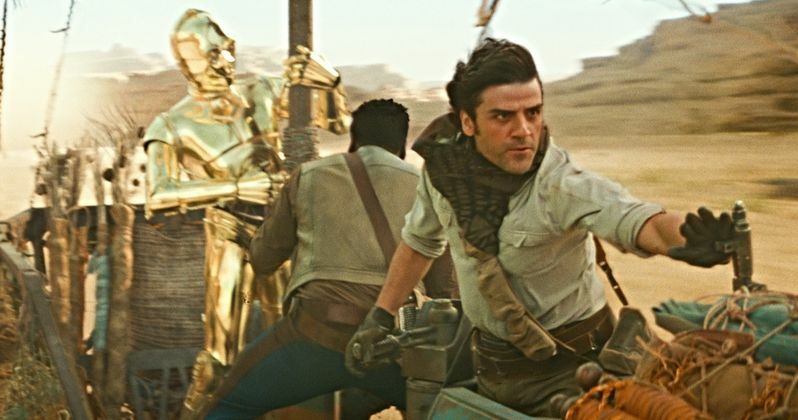 The Rise of Skywalker hits theaters on December 20th, which is still pretty far away. But, this will give J.J. Abrams some time to finetune everything. The trailer looked pretty amazing and added a super crazy twist that nobody saw coming. It's easy to see why Rian Johnson is so excited about seeing the movie because many Star Wars fans feel the very same way. The crowd in attendance at Star Wars Celebration today definitely feels that excitement. You can check out the reaction to The Rise of Skywalker trailer below, thanks to Rian Johnson's Twitter account.